Gosh, I just plain stink at blogging. I used to be SO good. But I am now 2 months behind my last post that was a catch-up post! So, I will try and do a little catching up! I ran a XC race back in February to have something to focus on as I healed and I did SO good! I ran it in 28:39 and for XC and surgery recovery, I was very pleased with my time. In other news, the kids are growing and changing so much! 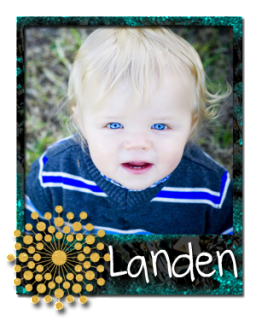 Landen is nearly 2 1/2 now (TIME FLIES!!) 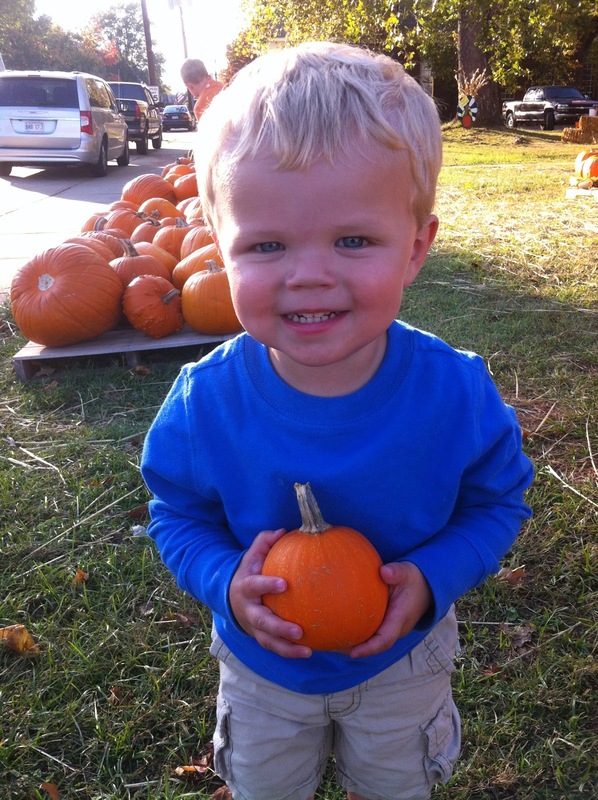 and he is such a sweet and comical little boy! He is still such a great communicator and I just love how sees the world. Things are much sweeter from a child's perspective. 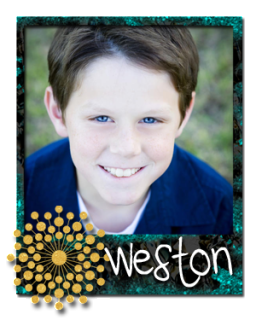 Weston and Kylie are growing and changing so much too...they are starting to become "young adults". Weston sat the other night and talked politics and gave his viewpoint on the world and it was so neat to see how mature and intellectual he has become. What can I say? I love my kids. They are the BEST! I have ran in a few races that I have yet to blog about and I am not going to leave them out because I had some great finishes! Just looking back at my times and the pics has me itching to run again. It's been almost 6 weeks of rest and I am ready to get back out there....may give it a shot in the next day or so and see how it goes. 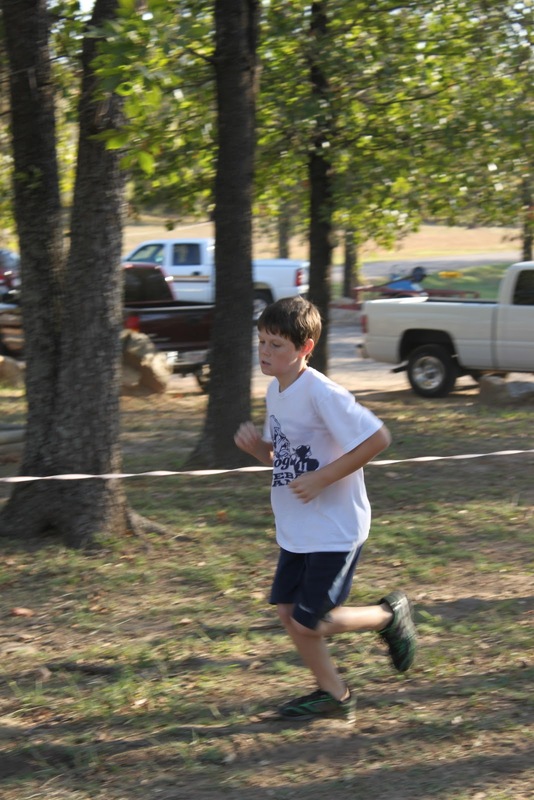 The first race was Ocrober 22, 2011 and I believe it was called the Survivor Challenge. I ran my first 10k there. I was so happy with my time of 53:58. I had really wanted to finish under 55 minutes if possible and I actually managed to finish under 54 minutes! Then, I ran a "fun run" on Thanksgiving morning and although it wasn't officially timed, I still had a great run. Plus, what a great way to start off Thanksgiving by banking a few calories before the big meal! My last race was December 3, 2011. It was the annual hometown "Yule Run" and I had bronchitis at the time. I guess knowing that made me push myself harder. I had ran it the year before with a time of 28:14, so I just wanted to beat that time. Well, I managed to run it in 25:39--my best 5k time EVER! I also came in 2nd in my age division! YAY! I was so happy!! Me and Weston at Survivor's Challenge--he did so good!! Me and Laura at Survivor's Challenge--our first 10k! Thanksgiving Fun Run w/ the Savolds! 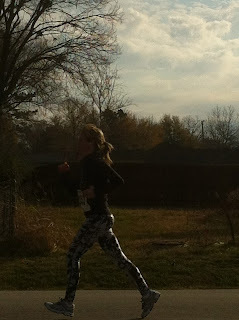 5k Yule Run--Check out those funky pants!! Me during the Yule Run Race! I am so behind on my posts, so this post is gonna catch up on some of the things that happened in the last few months of 2011! Halloween! The big kids wanted to have coordinating costumes for all 3 of them....well that is so hard to do with the age differences we have. So after hours of scouring the websites for ideas, we finally decided on Scooby Doo! They were all so adorable!! 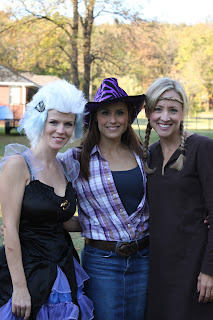 Laura also hosted a "Fall Festival" party at her house and we had a great time helping and hanging out! Here's a few pics from that as well. 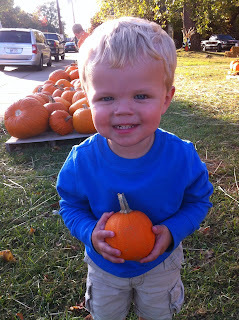 Landen had to have a pumpkin for school to decorate. Well, he fell in love with the Pumpkin Patch! 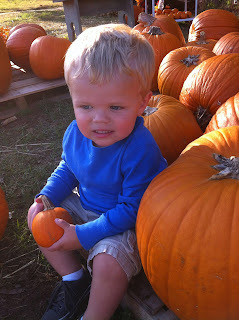 He had a great time looking for pumpkins! It was so cute!! I started a post back in 2006 that reflects back on the previous year and answers the same questions each year. It seems like this year I can't quite keep up with blogging, so I am a little later posting this than I wanted, but I refused to let the first day of the new year go by without doing it! I can honestly say that 2011 went by so fast! I can't believe it's gone. Our year was a busy one with tons of changes, so here goes on the reflection post! 2011--What kind of year was it??? In 2011, I ran my first 10k and did so much better on it than I had ever anticipated! I can't believe I was able to run my very first one in under an hour. I remember thinking that a 10k seemed impossible, but if you stick to it, anything is possible! I also got my fastest time in a 5k ever--25 min, 39 sec! My New Year's resolutions for last year were to run a 10k or even a 1/2 marathon...and I ran a couple of 10k's! I averaged under 55 minutes on them, so I am very pleased! I never thought it would be possible, but it was! I also managed to get a couple of medals in some of my races as well! My other resolution was to be debt-free. This day last year I started the Dave Ramsey plan and I am STILL doing it today! I am very happy for this accomplishment because we have saved so much money and are better prepared for our futures! I am still doing monthly budget spreadsheets and can honestly say it makes it much easier to plan for the month. I still have some fine-tuning to do, but I am pleased with the results so far. I can't remember anyone giving birth this year (and I am gonna feel horrible if I have forgotten someone. 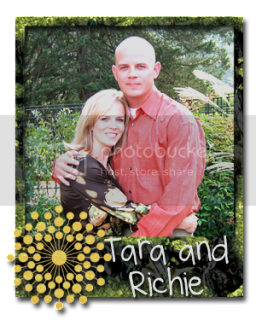 But my cousin from Las Vegas announced this year that she is pregnant and will be having a baby next July! We didn't lose any family members this year, but Ms Patsy, who was Weston and Kylie's daycare director for several years passed away this year. The kids were so torn up about losing her. 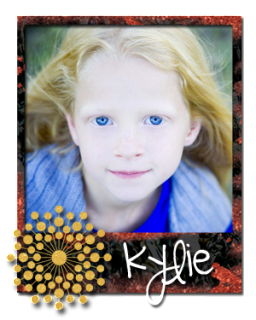 Kylie has known her since she was just 4 years old. Well, no international travels for me this year--it was too busy and hectic with building our house! Last year I wanted to feel more settled and we are finally in our new home! I also wanted a toned body and I really felt like I worked hard on exercising last year and would love to keep that up. It's gonna be tough this first month or so, but hopefully by spring I will be back to my old self. I guess for 2012 I would love to have more security and comfort in my job. It seems that the economy has everyone on edge and I always worry our industry will get hit once again. I have been beyond fortunate to stay in this field for nearly 5 years and I would love to make it for another 15 years! I think another thing I would love to have is more involvement at my church. I love the people there and really hope that we can get connected and more involved in the things going on. It's just so hard and hectic sometimes, but I think if I make that more of a priority, it will happen! Gosh, I can't think of a specific date, but there are so many memories in this past year! I think one of my biggest achievements as far as work goes was launching a new drug. At first, I wasn't doing so well, but I really buckled down and tried to think of some things I could do to push myself and I ended up having the top sales in Arkansas and one of the top performers in my region for our new drug. I really hope to keep up that momentum in 2012 as we launch another version of this drug! It'll be tough, but now I know I can do it! As far as family goes, I think we had a great Thanksgiving and Christmas Breakfast in our new home! I do have to remember to take it easy though. I have pushed myself far more than I should have in the past few weeks. I finally broke down and got a Mac desktop. My poor Mac laptop was over 4 years old and was busting at the seams from all of the pictures I had on it. Plus, it seemed I always had a few free moments to get on it about the time Richie would be on it. So, I cleaned off the laptop and gave it to him and am loving my new desktop! 2 years ago, we had a falling out with a group of people. I never expected or honestly desired to mend fences with them. Don't get me wrong, I didn't go looking to be hateful or anything, but I wasn't looking to be good friends. But, a turn of events that even I didn't expect saw some of the people moving and then some of them reaching out to apologize and ask forgiveness. If you had told me this a year ago that it would've been that way, I would've laughed. But, God works in some mysterious ways. And I am very thankful for the opportunity to once again work on those friendships. I guess I get frustrated with people who treat others as if they are better than them. Almost like they are perfect people who would never do anything wrong. Aren't we all human? It breaks my heart that people can kick at people while they are down. It hurts me to see people shun someone that has done nothing to them. Why? We put a lot of blood, sweat, tears, AND money in our new home. But I am so pleased with the results. I think we have a beautiful place to call home and grow old for many years. I can't imagine living anywhere else. I love it here. I think the whole first half of the year built up some serious anticipation about moving in to our new home. I loved watching it grow from an idea one evening, to hours of digging through house plans, then putting some stakes in a field, to now this beautiful place! Katy Perry's "The One That Got Away"....the year went by too fast! happier or sadder? thinner or fatter? richer or poorer? I am much happier. I have learned a lot in the last year about what I want and need and 2012 will be a year of communicating and pursuing those needs! I am not necessarily "thinner", but by pushing myself to run 10k's and my surgery a few weeks ago, I feel so much better in my skin! 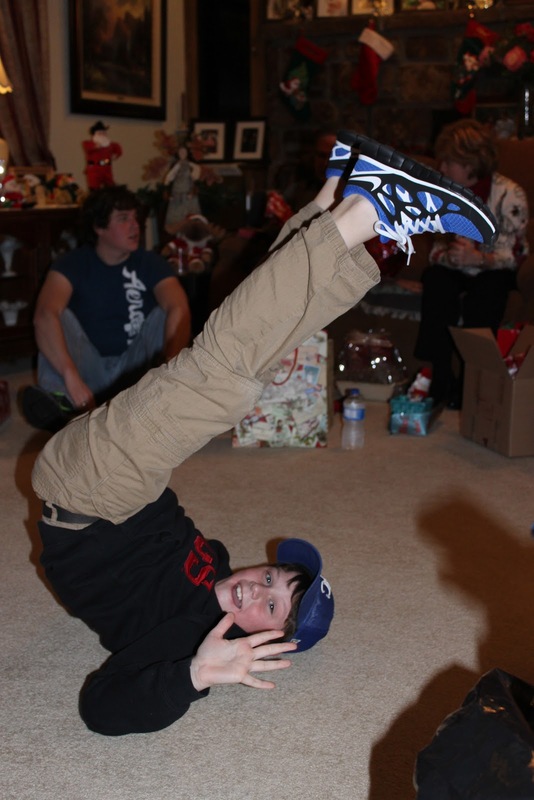 Now I am just ready to get back to working out! I feel poorer after building this house, but after a year of Dave Ramsey, we are SO much better off than last year! Traveled! Even if it was to the lake more or a weekend here or there, I wish we had gotten away. But, with building the house and all, it was almost impossible. I think I wish I had wasted less time on people and things that didn't matter. We went to eat with some friends, then came home and watched a movie in our new "movie room" and had a glass of wine. Loved the down time! I think that there are times we think we are in love with things, but then when we step back and think about it, most of the time, those things aren't what's really important. I love my God, family, friends, and my job. That's my focus for 2012. I don't want to hate anyone, but I think there are definitely times when it's best to just move forward without people in your life. I was really hoping to be completely debt free (excluding house of course) and didn't quite make it, but it is completely possible in 2012! I watched Water for Elephants the other day and loved it. I also really enjoyed Courageous! I turned 33...ugh. Does it ever stop?!? I need a house cleaner. Plain and simple. I loved the flat boots, jeggings! Thank goodness for leggings while I healed from surgery. I also broke down and bought some "Toms" (although mine are Bobs because they are actually way more comfortable to me). I agree with the saying that running is cheaper than therapy. It is such a stress reliever (trust me, my sanity is slowly going away over the last 3 weeks of not running). And I can't say enough good things about our church--the music, the message. It is definitely the best way to kick off my week. Gosh, I think I am tired of celebrity/public figures being idolized. I am more impressed with some "common" folk. I admire Coach Jones--not as our football coach, but as a church leader and member. Such a great guy and a big heart for God. I have enjoyed working with him at church this past year. The fact that we cannot escape a presidential election without a candidate having some sort of scandalous past. I can't say I have met a ton of new people this year! Richie and I hung out with some new friends this summer from his work like Eric/Diane and Chad/Christy, but that's about it! We all have a story to tell. It's easy to judge or criticize someone, but you will never fully understand what is going on in their life. So, keep it simple and be nice. The song "What Have You Got to Lose" by Third Day. You never know until you try! I wish everyone a wonderful 2012. May you see this year as one of your best years yet! Enjoy it, for it will soon be over!! 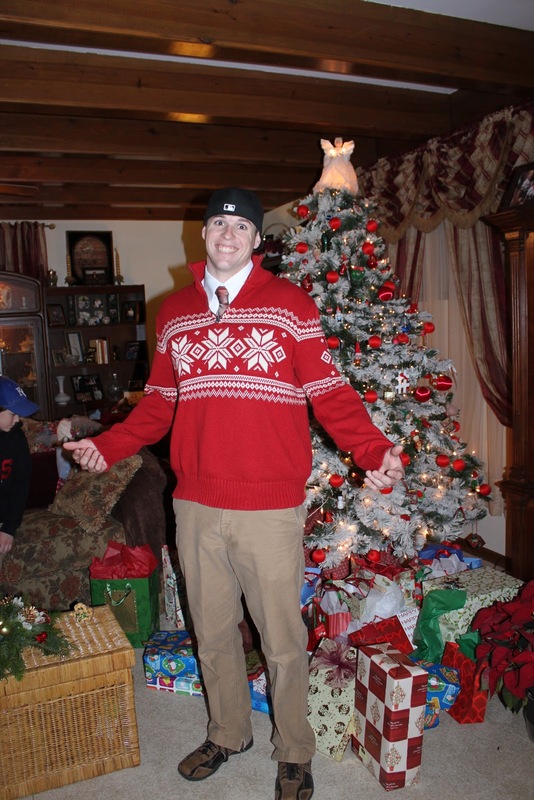 Christmas Eve in the New House! I am beyond behind on my blog. I have never had a hiatus like this, but things have been beyond busy. And I so wanted to keep everything in chronological order, so I wait til I have til time to post the things that have already happened, which only puts me further behind! So, forget that idea--It's Christmas Eve, and everything that has happened in the last 6 weeks can wait a bit longer. I have had this blog for 6 years and have done a Christmas Eve post every year....I'm not changing that this year! I have been under the weather the last week and a half, so I am so happy to finally get out the last couple of days and see the world. Last night, we did the annual "Christmas in Oklahoma with my Mom's real dad and that side of the family. The event never disappoints! However, I felt like I disappointed!! The last few years since our grandparents have retired, we have drawn names and bought presents for each other. Well, we have spending caps on the age groups....why have them if people don't follow them? 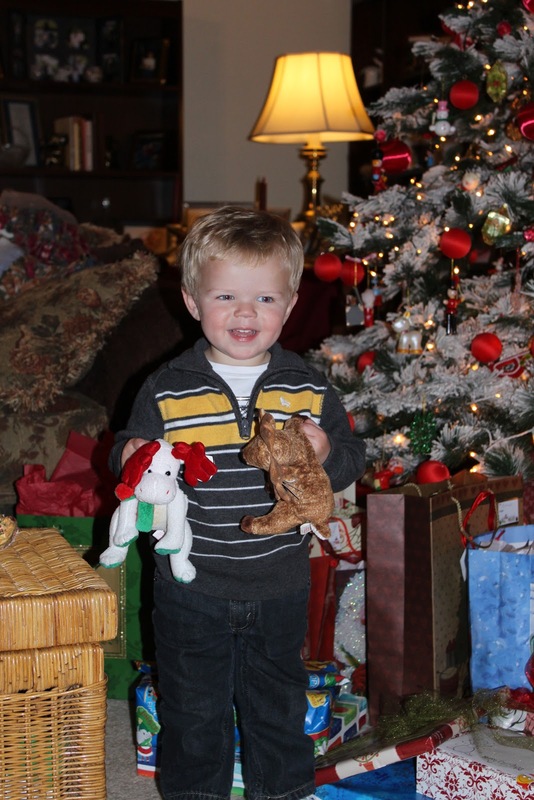 I felt horrible because I don't know my aunt's boys very well and wasn't sure what to get them. They are "tweens" and so I thought iTunes gift cards can't ever go wrong with that age group...but they do if they don't have iPods. Oops. So, I offered cash to the boys and "bought" their gift cards back from them. Then, my kids got nice gifts from my uncle and his family (that's who drew their name). So, I felt horrible when I had stuck to the spending limit. Oh well, I'll do better next year--I drew the exact same people! 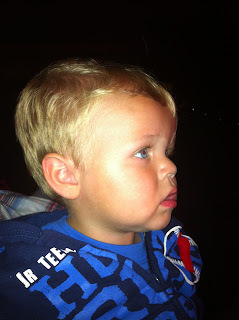 Last night after we got home, Landen had such a horrible cough and it got much worse. It was very warm at my grandparents' house in Oklahoma (we check the thermostat--they had it set and it was 76 degrees in there!). With all the people and the heat on high, we were roasting and it only made Landen's cough worse. By the time we got home and put him in bed, he was wheezing and gasping for air while he tried to sleep. Well, it scared both of us. So, we put him in bed with us. Well, we never slept--he coughed, turned, gagged, wheezed, gasped, and flopped! Then, he would wake up and cry and shake. It was awful. Finally, he threw up and threw up. I felt so bad for him. We bathed him and he asked to "take a nap in his bed", so we put him in his bed and hooked up a humidifier. Before, we could turn the light out, he was fast asleep. At this point, it was 3:30 am and Richie and I were past exhausted! We slept in this morning only to hurry and run late to make it to my Mom's house for lunch! After lunch and presents, Landen and Richie grabbed a quick nap. Then, it was off to Christmas Eve service at our church. It was such a GREAT service! They sang and read verses from the Bible of the Savior's birth. It was the only place I wanted to be today. I loved it. From there, it was off to my MeMe's house for Christmas with that side of my family. We had a great time, got lots of great gifts and just got back a few minutes ago. 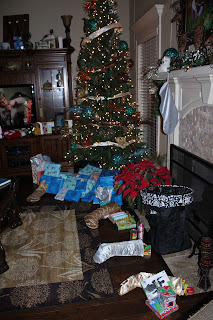 Santa has already come to our house this evening! The kids were so excited and ready to get to bed. It is so wonderful to be in our new HOME...the place where my kids will grow up and my husband and I will make great memories and spend our 1st Christmas here. I can't think of anywhere else I want to be tonight than here with my family. Kaden, Chad, and Landen with the Singing Reindeer! 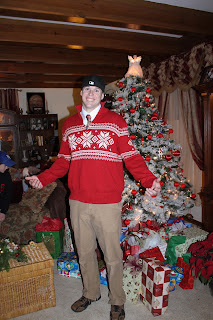 Chad in his "Christmas Sweater". LOL. Me and MeMe just relaxing! Oh No! 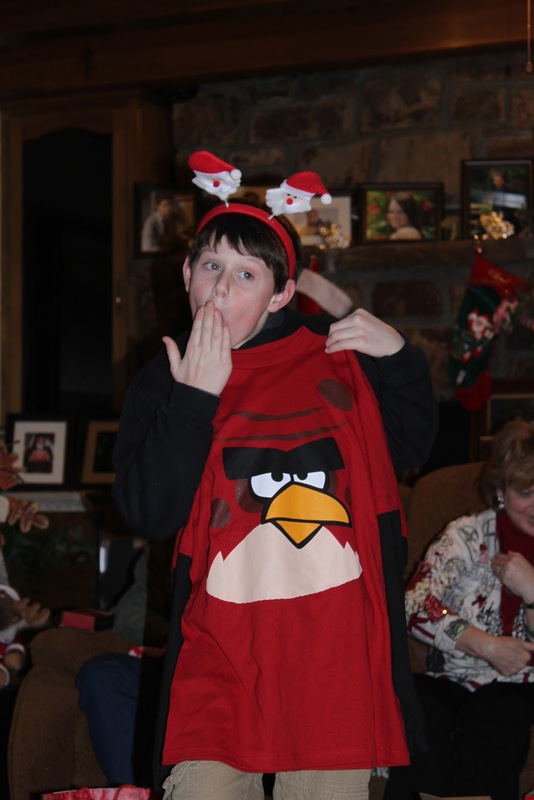 Someone got an Angry Birds shirt! The Christmas Present Richie and I gave ourselves...a picture over the fireplace! 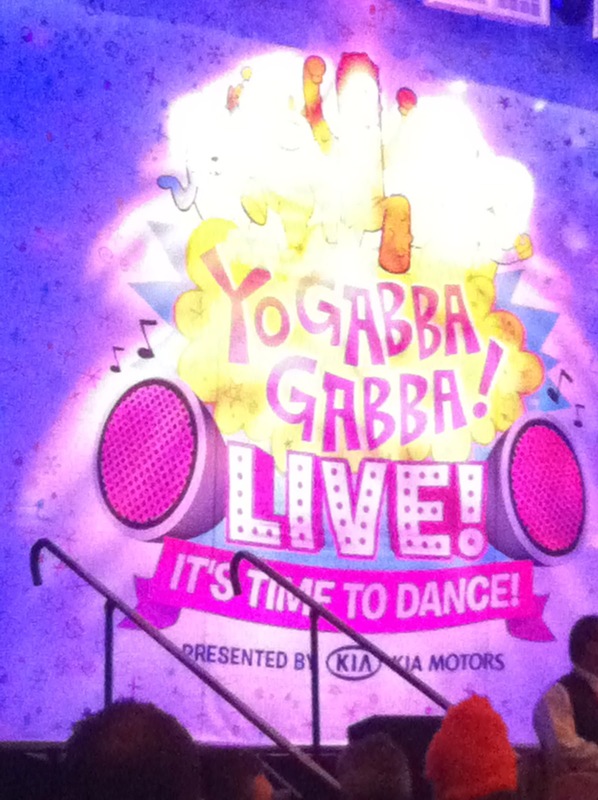 Thanks Shannon for an awesome pic! Santa has made his stop here! Landen: "You got glasses on your face?" Teacher: "Yes, I've got glasses. And so does _____ (insert random kid's name here) and ______ (insert another random kid's name here). Do you have glasses, Landen?" Landen: "No, I've got eyes on my face." 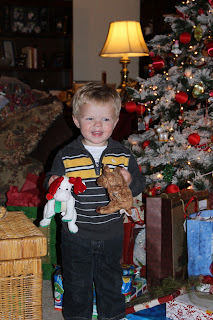 A few weeks ago, his buddy Addi came over to play and I got a couple of cute pics of the two of them. 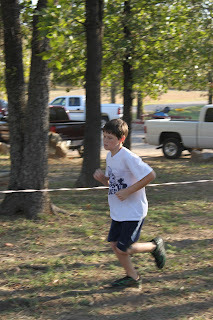 Weston ran in his 2nd cross country event (yes, a few weeks ago, I'm THAT behind again) and did SO good! I was really impressed with how well he is running and how much he enjoys it. 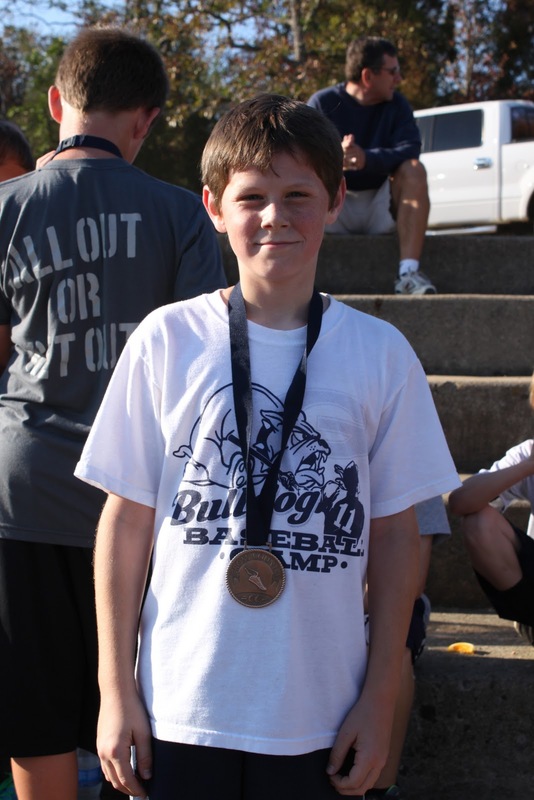 He finished 11th overall for the 6th grade class out of like 30 or so runners. I can't wait until 7th grade when he can be "officially" on the XC team! Right now, he and a few hand-picked 6th graders are allowed to run with the older kids, but they have to keep this on the "down low" because the coach doesn't want the other kids to know they have been invited and the others haven't. It's funny because they have a code name "our house" for the times they talk about XC! But these kids are a great group of guys who really enjoy running and their Coach sees that in them! I am so happy he's looking out for them and their running futures! 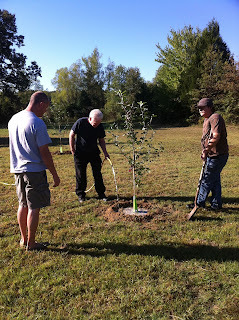 On Landen's birthday weekend, my Dad and Grandpa came to the house and planted 3 apple trees in our yard. 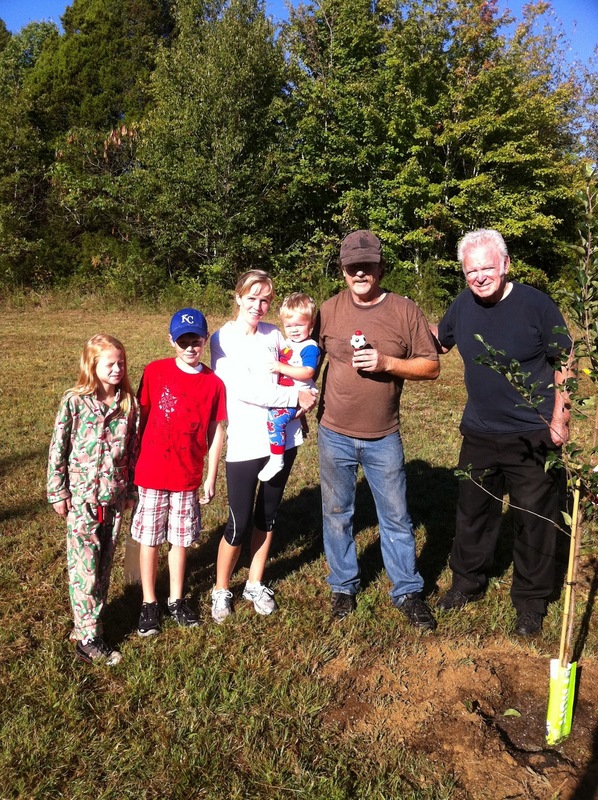 He wanted to do something special for the kid's birthdays and felt like planting trees would be something that would "last". I thought it was a great idea and I was so excited that he and my grandpa wanted to do this for the kids. 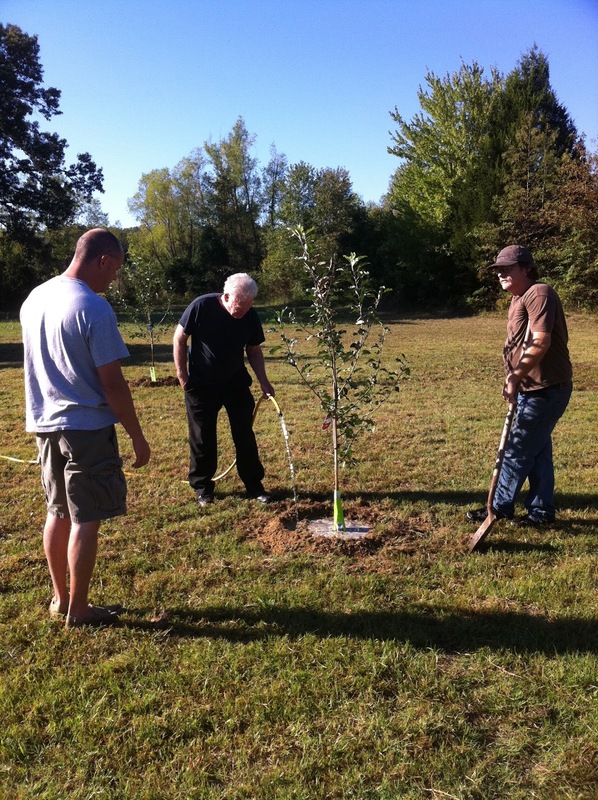 It was a really special day because my Grandma died almost a year ago and it means a lot to have my Grandpa here when the trees were planted. He's not doing very well and hasn't been for some time, so it was nice to have this time with him and make a memory as a family. Here's some pictures of our tree planting and the kiddos! I answer to many names, wear many hats, and do many things! My life revolves around challenges, adventures, and experiences. Sometimes I fall, sometimes I rise above. But in the end, I know this life was mine to live.